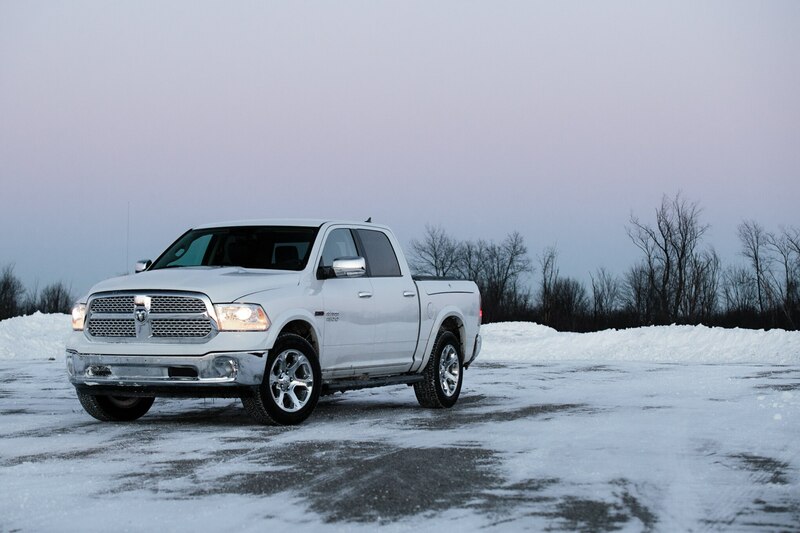 As the 2014 Ram 1500 Ecodiesel rolls onto dealer lots, you can expect to hear a lot about the numbers, and for good reason: it’s the first in a new wave of diesel-powered light-duty pickup trucks to be sold in North America, and it promises to provide the towing capacity of a V-8—up to 9200 pounds, depending on specification—and the fuel economy of a V-6 (up to 28 mpg on the freeway). 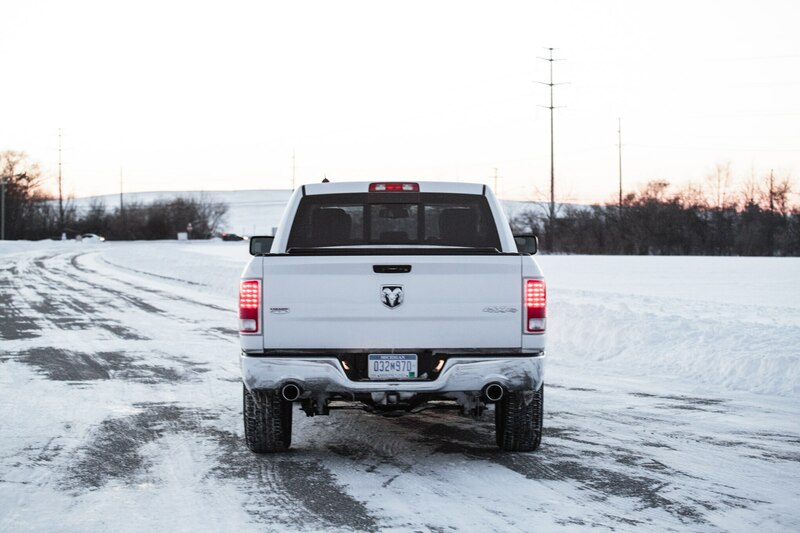 In recent years, though, we’ve learned to like a lot more about pickup trucks than numbers. 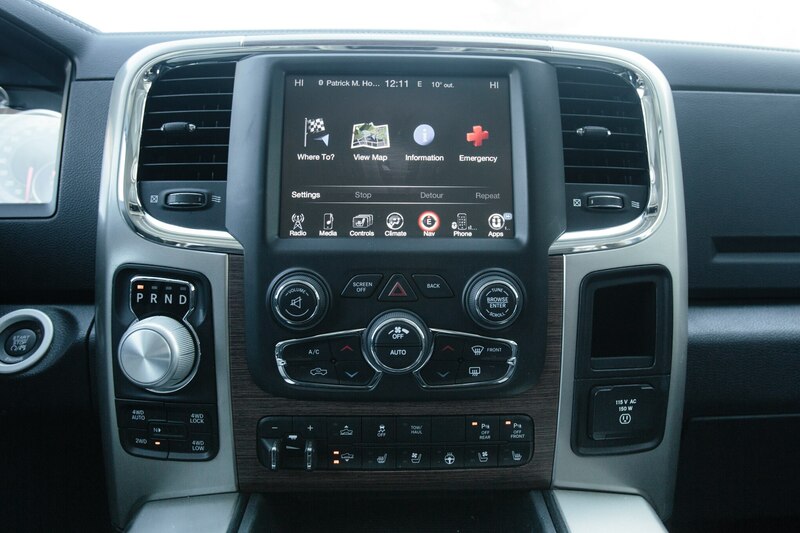 That’s particularly true of the Ram 1500, which has distinguished itself with an ever growing list of refinements, including rear coil (or optional air) springs, premium interior materials, and an eight-speed automatic transmission. 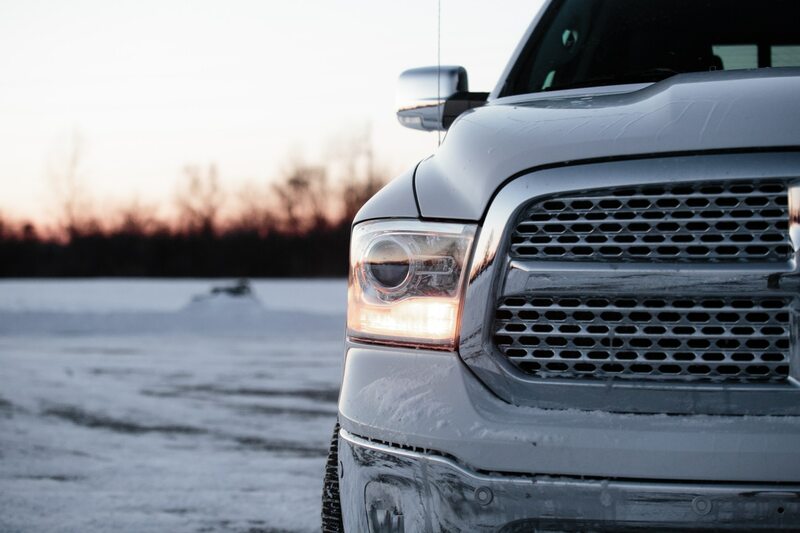 In fact, the Ram is the recipient of three Automobile Magazine All-Star awards. 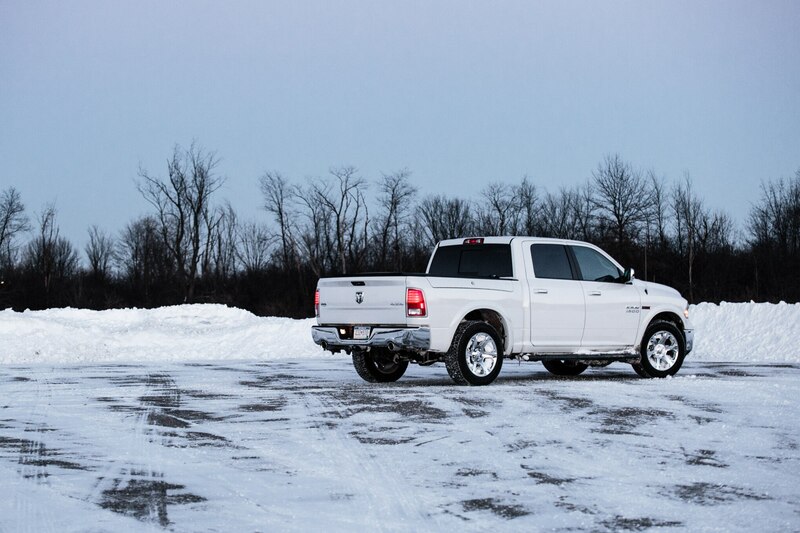 So, our main concern about the 2014 Ram 1500 Ecodiesel that came through our office recently was not its towing capacity or its payload or its fuel economy but, rather, whether its All-Star character remains intact. 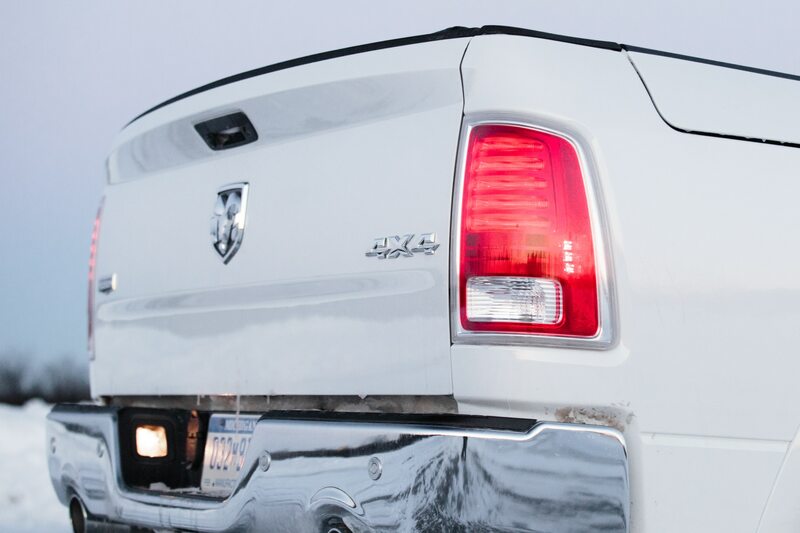 The 2014 Ram 1500 Ecodiesel announces its key feature the moment it chokes to life. 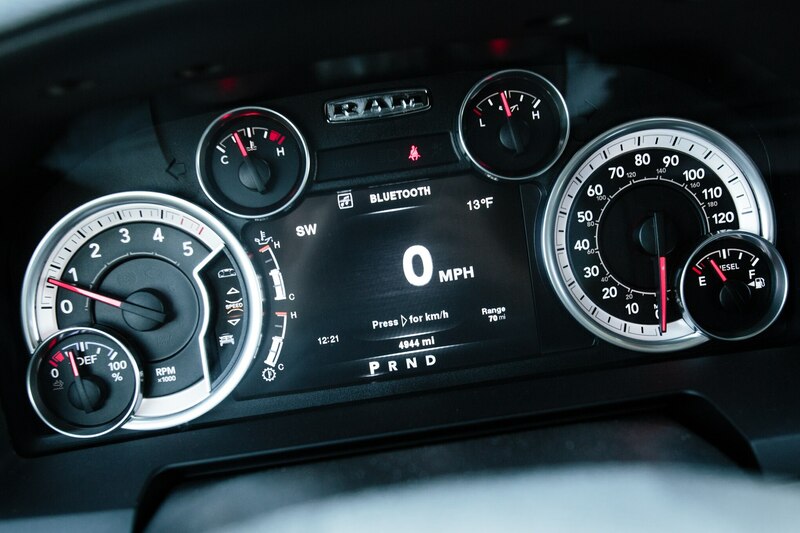 The telltale diesel clatter clearly proclaims, “No, it’s not a Hemi.” Whereas diesel engine clatter still sounds slightly strange coming from a car (at least to American ears), it instantly registers as familiar in a truck. Oil-burners have long been a mainstay in the heavy-duty segment. 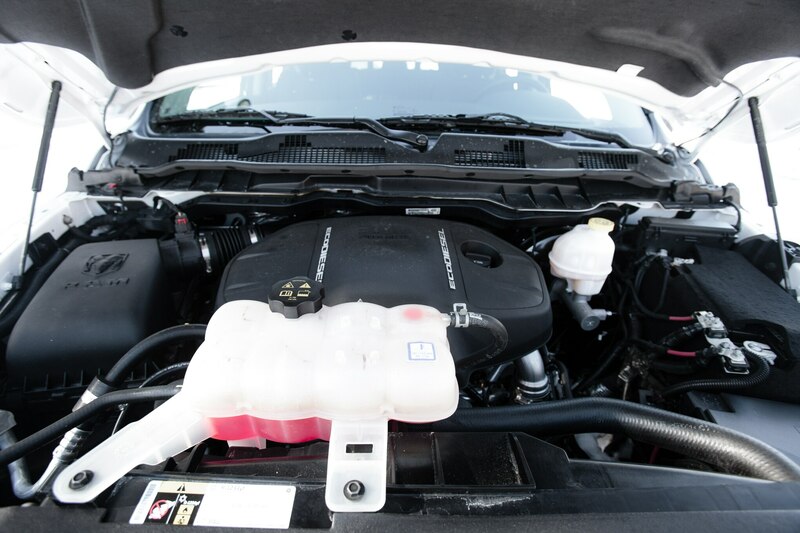 In 2013, some 80 percent of Ram 2500/3500 buyers chose the 6.7-liter Cummins turbodiesel from the maker of the diesel V-8 to be offered in the next-generation Nissan Titan. 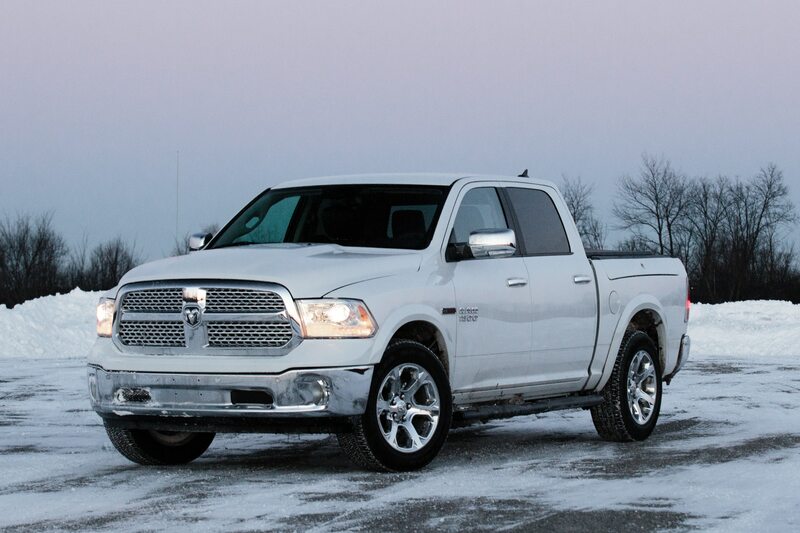 To be clear, the 2014 Ram 1500 Ecodiesel is not a muscle truck—for that, you’ll need to stick with the 5.7-liter V-8. 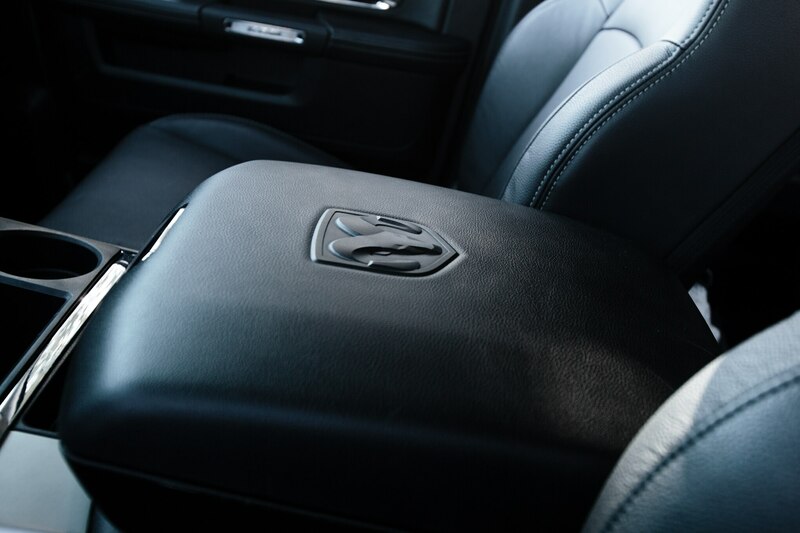 The key to the Ram 1500’s charm isn’t that it’s fast, but that it’s so darn nice. 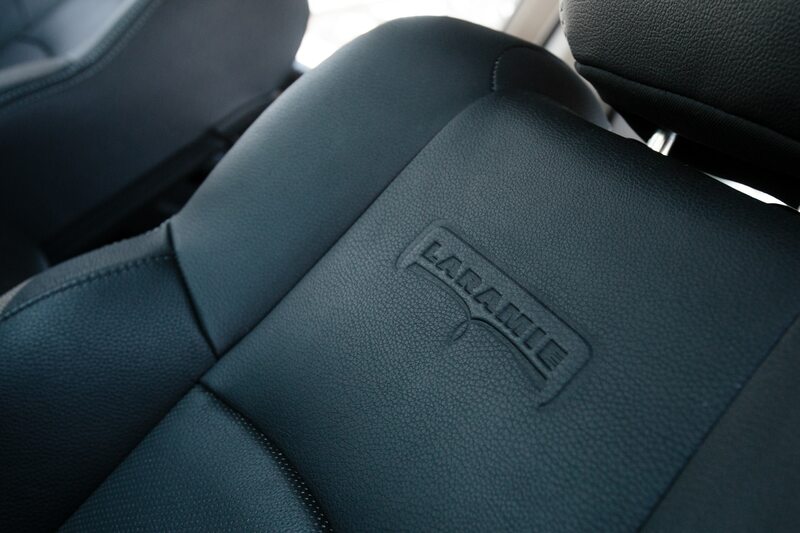 Our test truck, a well-equipped Laramie Crew Cab, proved equally worthy of all the praise we’ve heaped upon the gas-powered models. 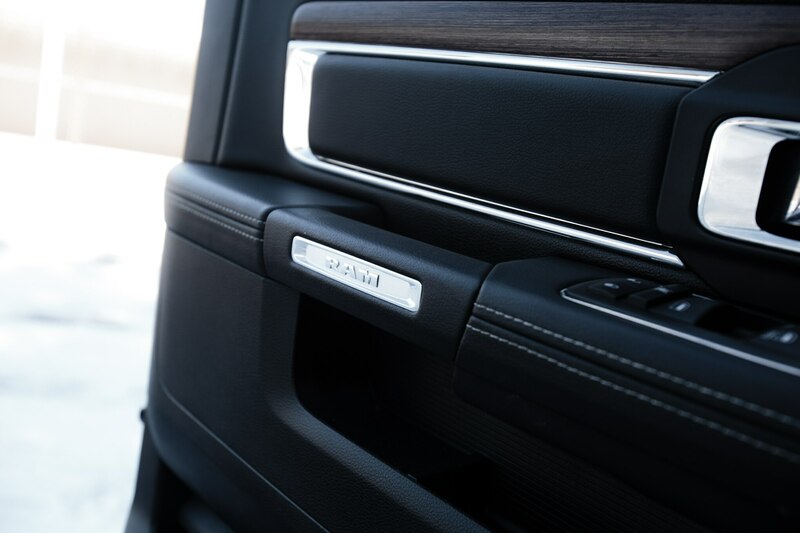 The optional air springs provide a relatively smooth ride even with an empty bed. 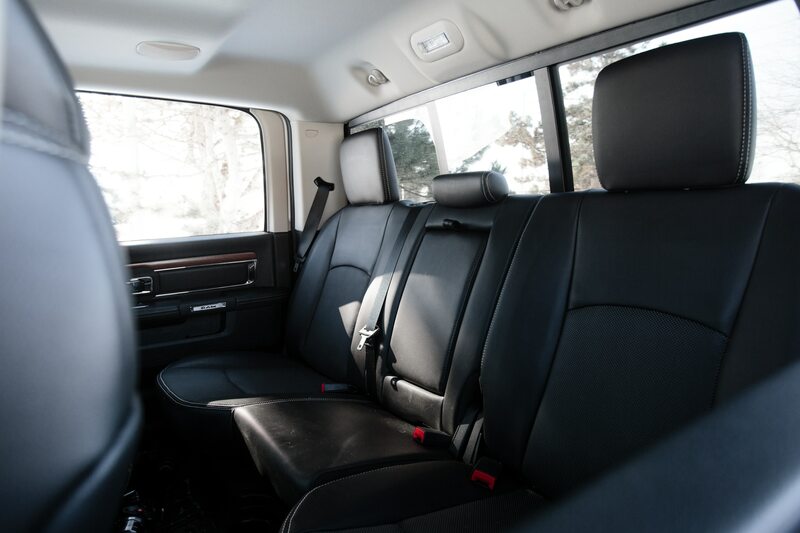 The leather-upholstered cabin puts some luxury cars to shame and, as staff editor Jennifer Misaros notes, is “crammed with features that pickup truck buyers wouldn’t have imagined just a few years ago.” Features like remote start, perfect for counteracting the long warm-up times of diesel engines and well worth the extra $200, especially in Michigan’s recent subzero temperatures. 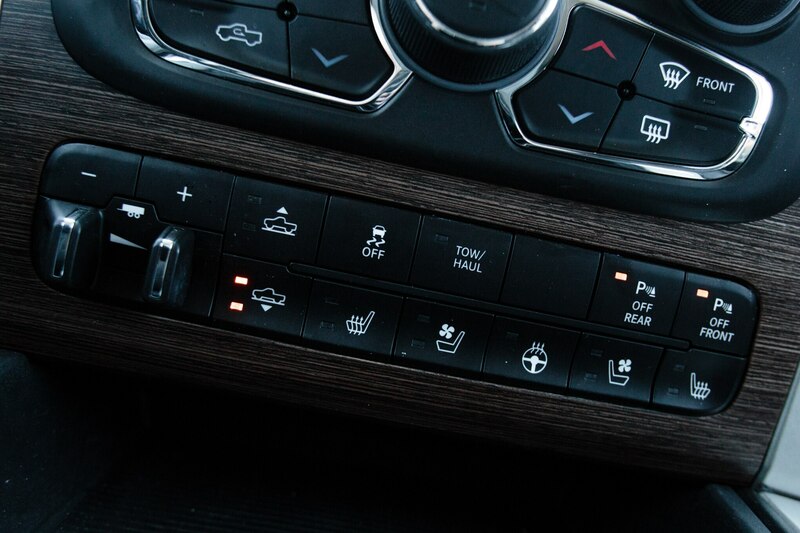 “It also turns on the seat and steering wheel heaters,” Holmes adds. The interior is also extremely quiet—most of the clatter is audible only with the windows open. 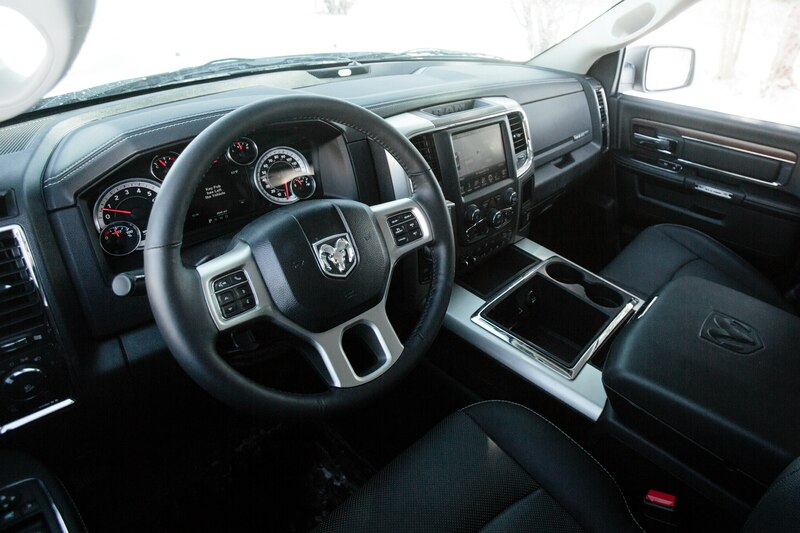 It’s very easy to climb into the Ram 1500 Ecodiesel, shut the door, and forget that you’re driving an enormous truck. (Until you drive into a cramped parking garage or try to stare around its A-pillars, which are as thick as tree trunks.) 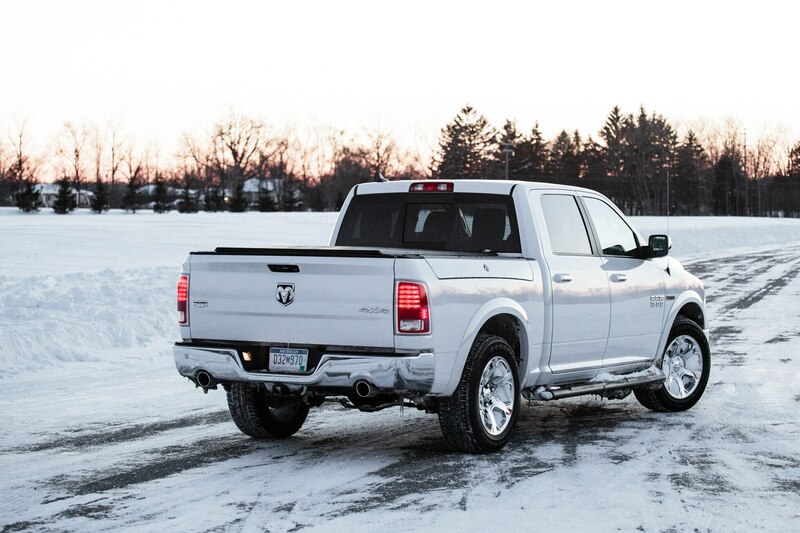 “If ever there were a pickup that could be described as lovely, the Ram is it,” Misaros says. 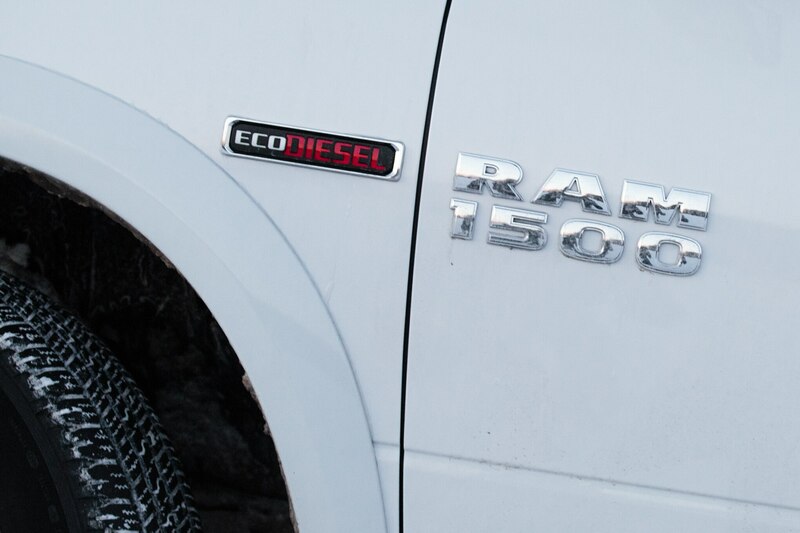 One number you’re not likely to hear in advertising for the 2014 Ram 1500 Ecodiesel is $2850—the surcharge for the diesel compared with the Hemi V-8, which reflects the costs of making diesels compliant with modern emission standards. 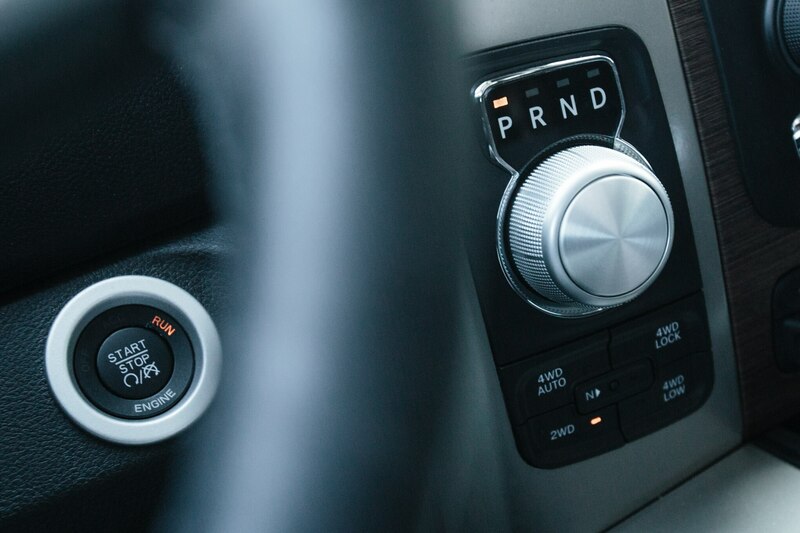 We’ll let you open up a spreadsheet to decide whether the diesel’s fuel economy advantage warrants the extra money up front. 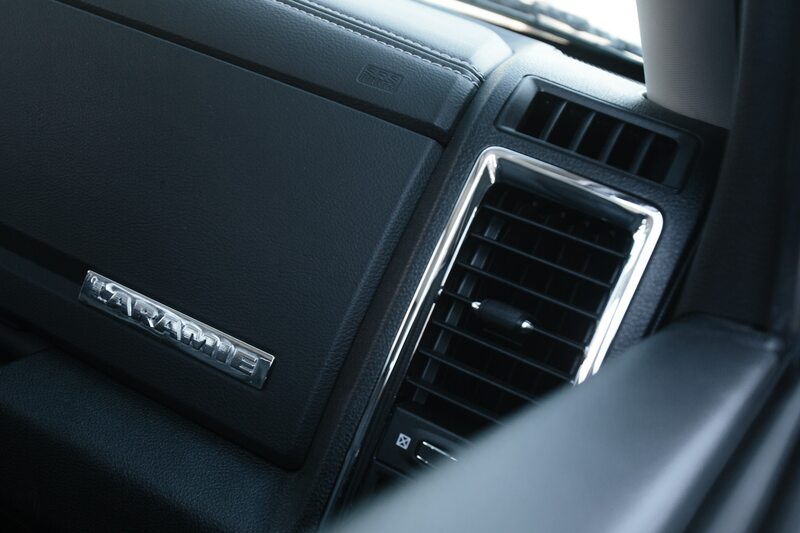 What we can tell you is that it’s a truck you’ll want. 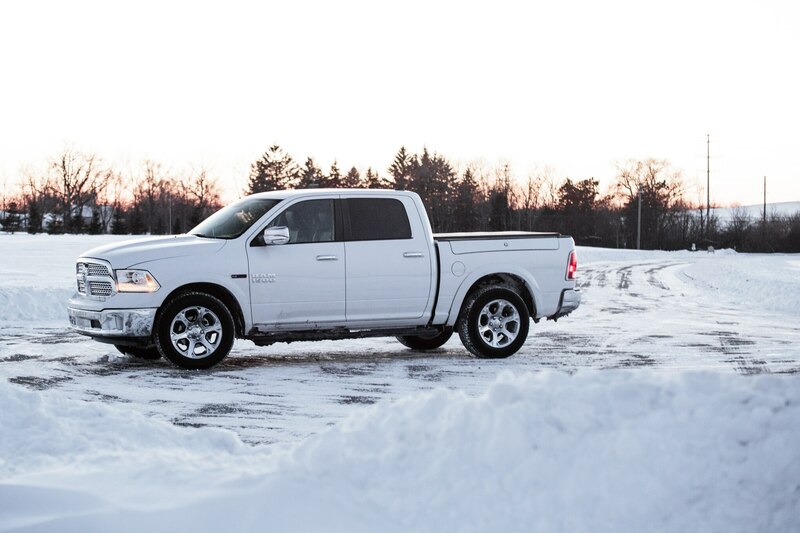 “The torquey, efficient diesel engine only makes the Ram 1500, already our favorite pickup truck, even more desirable,” copy editor Rusty Blackwell concludes.